This is a picture of a Shinnecock/Montauk Indian man at his camp site at twilight. 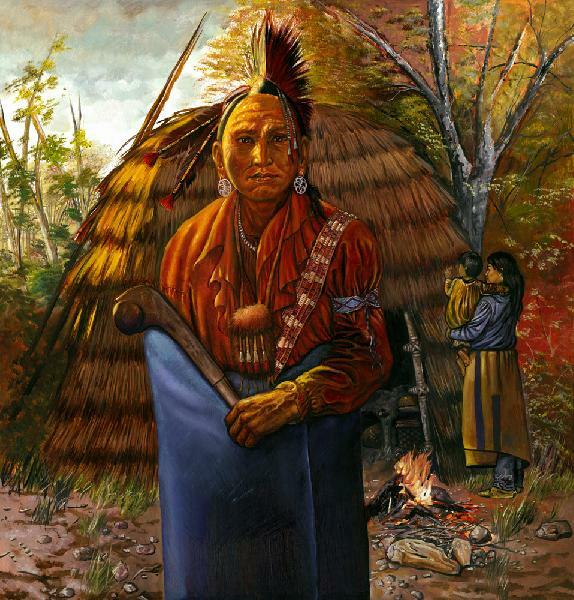 He is dressed in typical Native American clothing of the late 17th and 18th centuries Algonquian/woodlands culture of Long Island during the early years of European contact. His traditional home in the background is made of thatched meadow-grass.